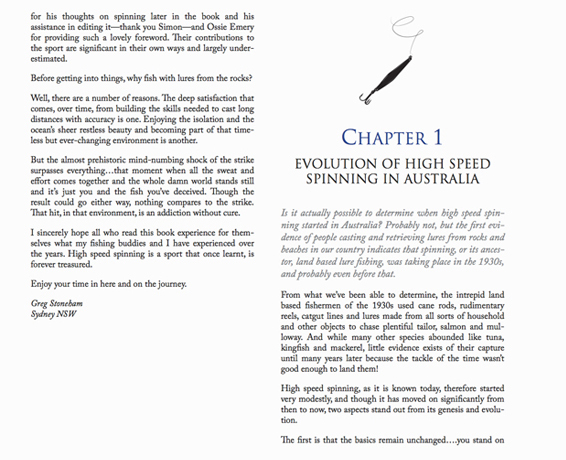 Australian eBook Publisher’s signature service is the trademarked Ebook Designer’s Touch™. This means that we will use Design Thinking to project manage the design and publishing of your ebook. 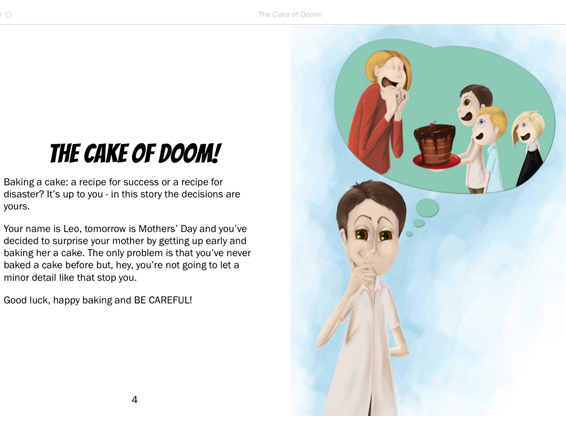 Ebook formatting, and specifically Ebook Designer’s Touch™, is really important for people who have a manuscript intended for ebook publishing, not a project that includes printed book design. Books designed for print usually have typesetting and layout done by a graphic designer. 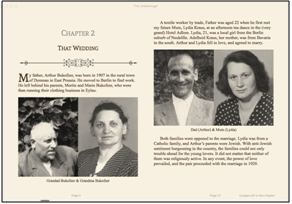 Many of the same features used in professional book design convert to ebook formats well. Because many authors and publishers are releasing books directly to ebook markets, we are offering Ebook Designer’s Touch™ as a way to avoid ebooks that have poor reading experiences. What happens if your readers have a bad experience? All the text in the proper order and laid out correctly. If you’ve read this far, you probably agree that you’d rather focus on writing not the design and encoding of your ebook. So contact us about your project and find out what exciting things we can do for you. 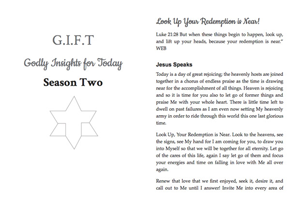 When filling out our Quote Request form, please let us know if you would like the Ebook Designer’s Touch™. Formatting is usually done by a professional editor as it does have a semantic effect (meaning) on the text. For example, deciding where a scene break or a chapter should start. 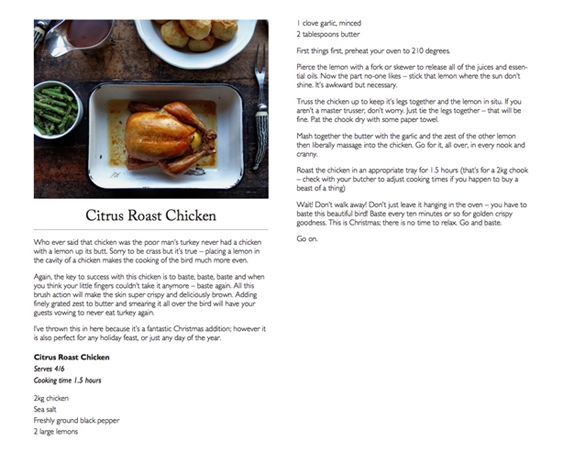 In the absence of editorial formatting, however, designer-formatting is better than nothing. Especially if you have a designer who specialises in ebook formatting. The quote above is just how one reader felt about the boring ebook options available to her. When prospective buyers look at your screenshots or download a free sample chapter, they are about to make a purchasing decision. Unless your text leaps off the screen and grabs them, they will not buy your book. Have you every been guilty of buying a book because it was attractive? Though quality writing (read more on our editing services here) is the most important factor in an ebook readers' buying decision, professional formatting, good cover design, and well written sales material (meta-data) are also key. 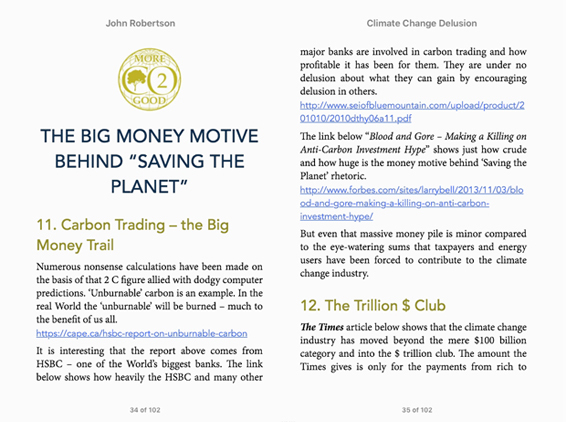 What exactly does a specialist ebook graphic designer do to my novel or non-fiction book? 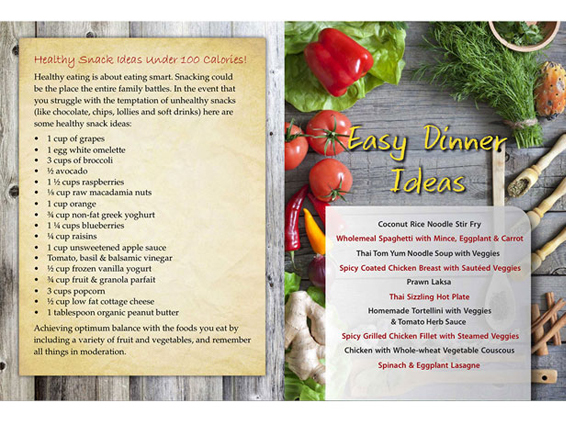 A graphic designer will improve the visual appeal and useability (functionality) of your ebook based on its unique aspects and the intended target market. The first is conversion whereas we take what we are given and convert it to epub and mobi aiming to make it look as close as possible to the original supplied file. 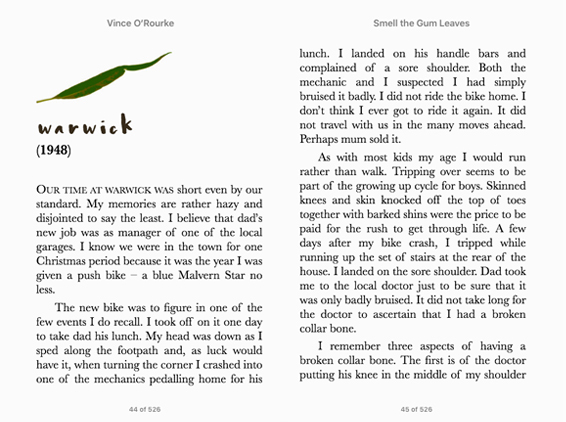 If it had poor spacing, boring fonts, no design aspects at all, then so will the resulting epub and mobi. If you want your book to look beautiful and professional then you need the second option, which is to start with our Ebook Designer’s Touch™. 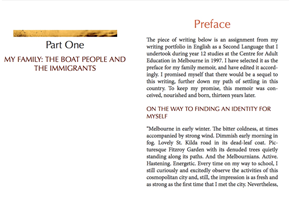 The team at Australian eBook Publisher are experienced book designers—for print and ebook formats. Though some of these items can’t be controlled in an ebook (like kerning, which is the spacing between individual letters) we can make use of a lot of these things in an ebook. 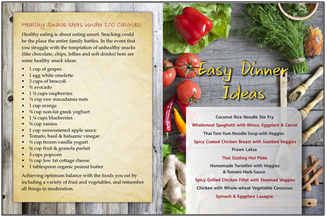 Scroll down to see some samples from our Ebook Designer’s Touch™. 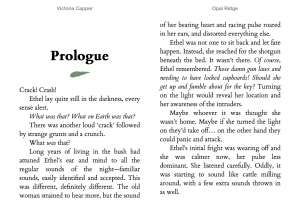 Our Ebook Designer’s Touch™ is custom-made for every book. We won’t cookie cut your ebook’s design so it looks like every other book. Your book is unique and our Ebook Designer’s Touch™ will help show the world that you are a professional author who means business. Whether your book is fiction or non-fiction we will format it to your taste. 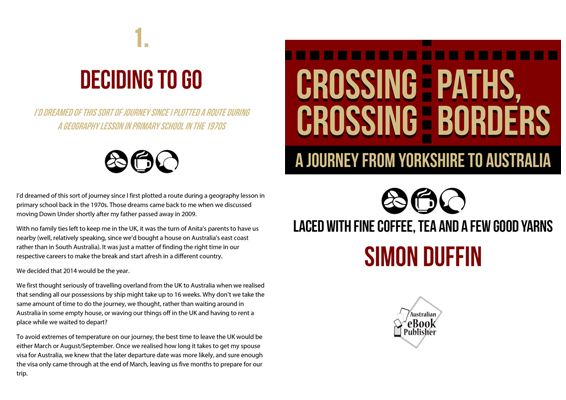 Fiction books can have beautiful chapter beginnings that match your cover design, colour choices and book theme. Design is especially important for non-fiction and if you are hoping to build an author platform for yourself, using the ebook to ensure your business is viewed in the right light. Matching to your brand, whether that is YOU as author, or a business, may also be important. 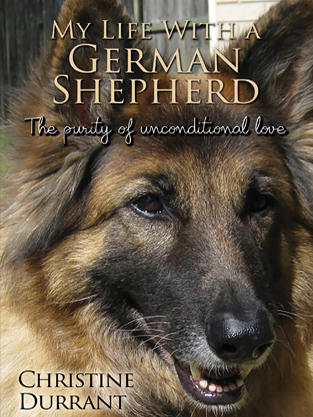 The first thing a reader looks at is the book cover. 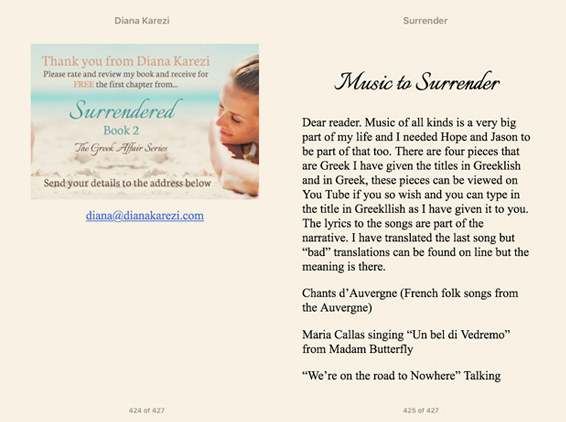 To make the most of a beautiful and functional ebook, you need to first entice a reader with your book cover. Read more on this here. 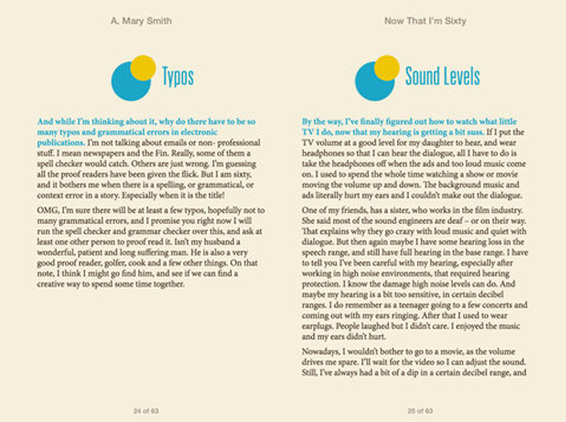 What about fixed layout ebook design? 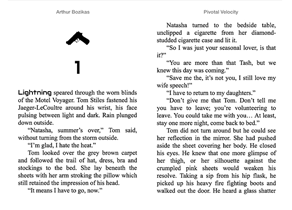 Our standard Ebook Designer’s Touch™ is for reflowing ebooks. 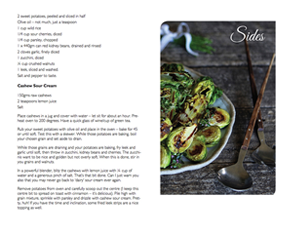 However, if you plan to publish a fixed layout ebook, we can still custom-design your book for you. 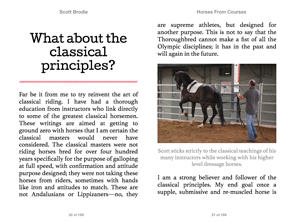 Fixed layout ebooks are a lot more like a traditional print book design, so we need to make more decisions about how your text, images and pages sit on an ebook reading screen.